The planned joint venture between the UK’s three leading mobile network operators is “anti-competitive and akin to a joint selling arrangement,” says Three UK, which was not invited to take part in establishing the new NFC service provider. 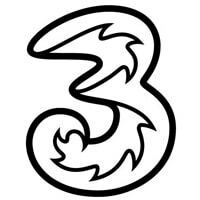 Three UK, the smallest of the UK’s four mobile network operators, is continuing its fight against the planned NFC joint venture between Telefónica UK, Vodafone UK and the recently created merger between the UK arms of mobile network operators Orange and T-Mobile, Everything Everywhere. In June, Three was the only UK carrier not invited to take part in the creation of a UK operator-led NFC joint venture. The carrier first notified the European Commission of its concerns in September and is now preparing to file submission to the EC over the plans. The ‘cooperation’ extends to the creation of a ‘one stop shop’, or central sales organisation for card issuers, advertisers and media agencies looking to put their cards and offers into the wallets of UK mobile subscribers. It is a cosy collaboration that would control nearly all mobile wallets in the UK and control and sell advertisers and card issuers’ access to its mobile subscribers. This is anti-competitive and akin to a joint selling arrangement which creates a monopoly in several markets (including mobile push advertising and mobile payments) and should not be approved under any circumstances. By controlling and selling access to over 90% of UK mobile subscribers and their data, Deutsche Telekom, France Telecom, Vodafone and Telefónica seek to foreclose the market to third-parties and neatly do away with the inconvenience of competing with each other.